Architecture in monochrome can get about as poetic as a rainbow. 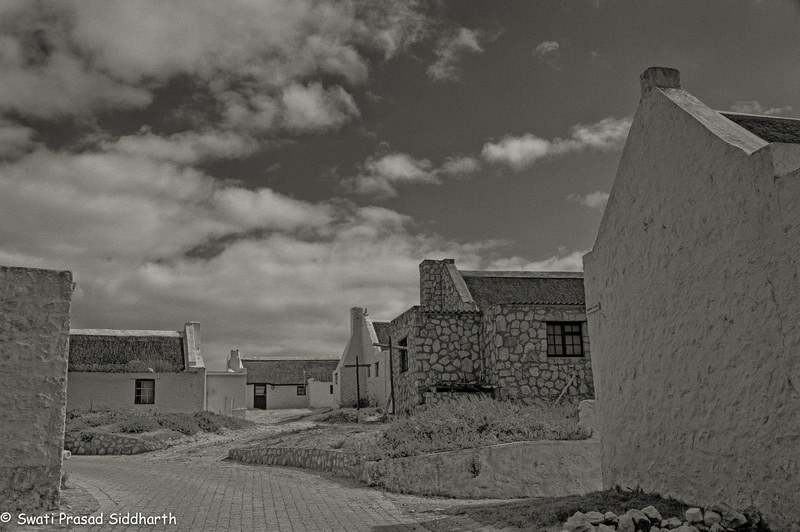 A trip to the village of Arniston in South Africa gave us the opportunity to try our hand at photographing buildings. Not iconic ones like the Taj Mahal or the Notre Dame, but homes. Lovely, neat , and well organised houses. The place also looks so clean. A very well taken picture. All compliments . Thank-you, David. Your teaching and encouragement are invaluable. It’s one of the prettiest places I’ve been to. Swati — I have just loved following your blogs. Your writing is so beautiful. And your photographs too are working together to create really important messages. You are an inspiration. Beautiful village! Very well photographed!